Where's the screw holes for the deep tuttle fin box? Lookin good there Dags!! Long time coming mate. Soooo shiny. Great boards for med/high wind RB Rippin. Looks like Pete has cleaned up. how much does that board weigh dags, mine is over 20 kg but don't seem to have any water in it. Mate, when I got it, I weighed it when there was some talk about it on here. I can't remember exactly, but it was under 18 kg. Pete said that he got 17 kg, but I don't know when he weighed it. Anyway it's a really good one of these to restore so it'll be interesting to see what she weigh's when she's finished. Justin, I went up a couple of day's and did some work on her. Valspar Industrial two-pack Polyurethane. Was the best available way to match the colour spot on. I'll have at least 750 ml of part B left over though, so I'll get some white later to do the bottom's on all my other boards. 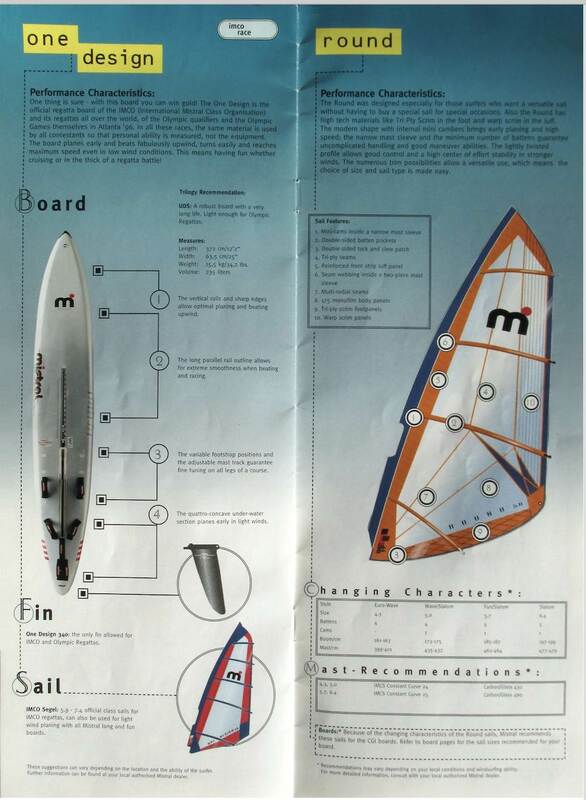 Hey Dag board looks great, where did you find the stencils for the Speed logo and decals, the mast track and footstraps? Also did you spray paint? Sorry for all the questions! Just wanna get my speed lookin as good as that! Beautiful stick. How much does she weigh ? PS where did you get the boardbag ? I need one for a raceboard. I just weighed her and got 19.4 kg with everything including centreboard. 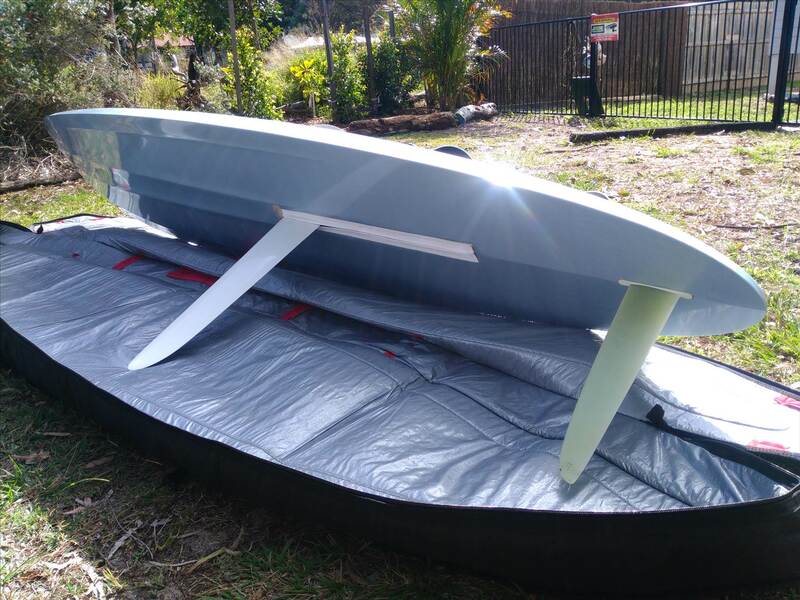 Centreboard is 1.3 kg on it's own. Hi Harry, I had the graphics copied perfectly by Sign Shop in Caboolture. The mast track I made by copying the original. The windward straps I got from Simon at Board Crazy (Drake), and the four rear straps I got from Sunshine Coast Board Sports (Uni Fibre). I did the sanding to get the bulk of the old paint off, which also let us inspect her properly and not gain weight with the new paint. and a deep tuttle fin box was also added first. I sailed her yesterday and loved it, but I should have known. The only thing that I didn't remake was the car in the mast track. It broke into three pieces, but at least I saved all the bit's so I'll copy it and make it out of stronger material. I'm thinking alloy. Grich62 did warn me that might happen. Yep Camm, sure will. I was pretty impressed with how she sails. Now I have two to race. When the conditions are like they were at the Cootharaba comp, this one should be great. I got the bag from Simon at Board Crazy. Flying Objects Race SUP. Fit's perfectly with a bit of room spare only at the rear. Dags, your new GF looks hot!! 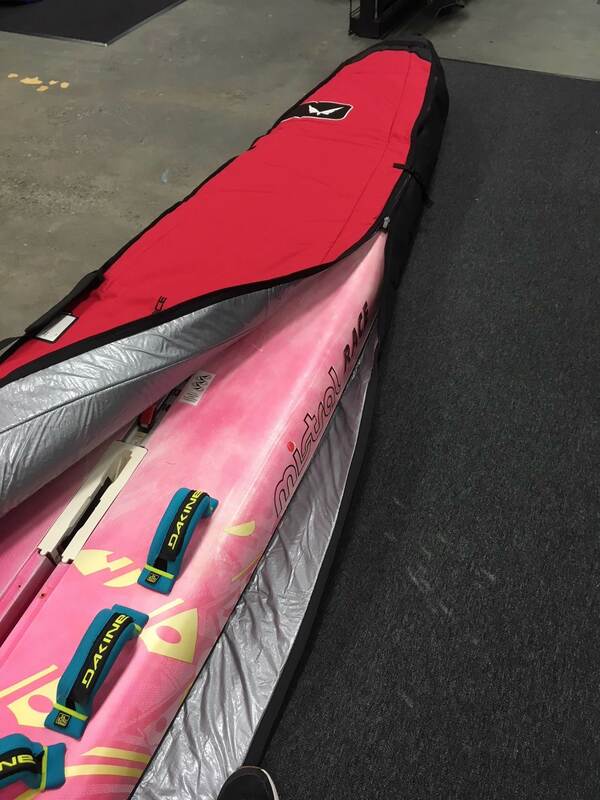 RichardG, Prolimit 12'6" x 26" SUP RACE fits very well also. There are other options you can do for the mast track instead of the car without having to do any more work on the track. Hi Moz, what are your thoughts on the track? I don't want to use another track because I spent a lot of time making this one, and it works better than any other (with a strong enough car that is). Hey Grich, I just looked back at an old post where you asked what weight should be. at 20 kg. 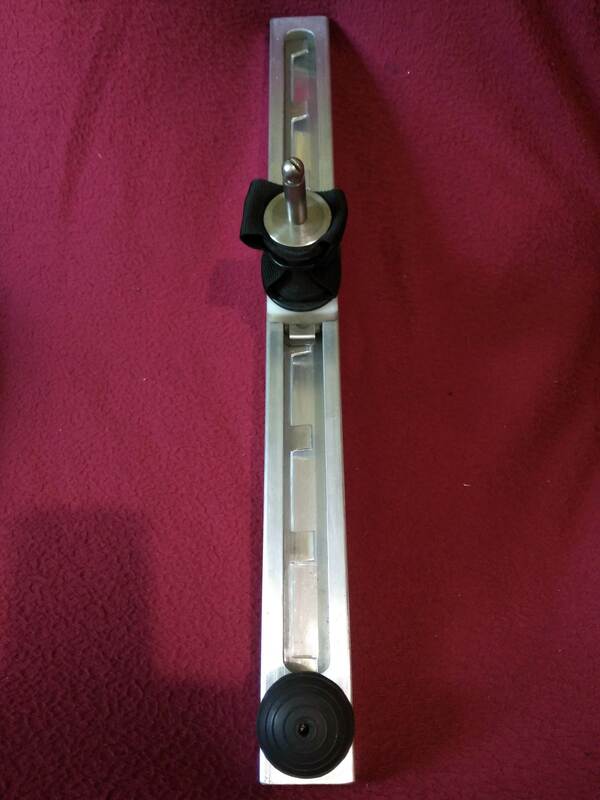 I now have incentive to concentrate more on the extra 14 kg's in my mid section before the season starts again..
To repair the mastrack car, you could get two blocks of nylon and rebate one or use a rectangular spacer then bolt the top and bottom pieces together to form the car assembly allowing it to slide along the track. Camm, it's the old doubled and sewed dacron trick mate. It was already there. Azuli, the credit go's to Peter for all the work he put into it. I can only take credit for the mast track. It worked soooo good. I should have re-made the car at the same time. I'll give you a call Moz. My phones charging ATM, but I've found a piece of stainless the right size. Hard to work, but worth putting the time in. Alloy on alloy will wear too much I think. Grich, I'll stick to the slide with the new car for the moment, as I don't want the wide base plate on the grip coat. We'll see how long I go without another chance at "I told you so". 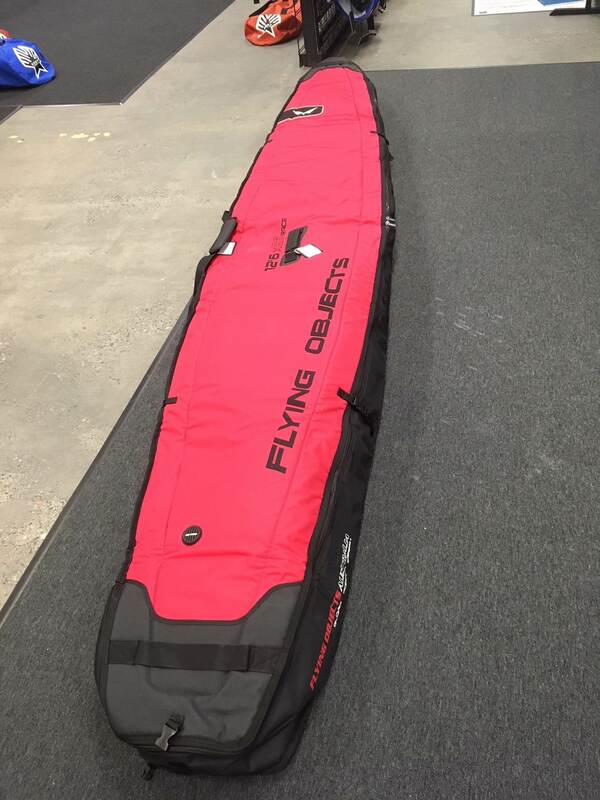 Thanks Guys, Got the 12'6" x 26" Flying Objects Race SUP from SurfSail Australia in Perth. Excellent assistance and service from both Marco of FO and Mark Taylor of top local SurfSail retailer in Perth. Fits the Mistral IMCO OD perfectly. nice bag , how much ? 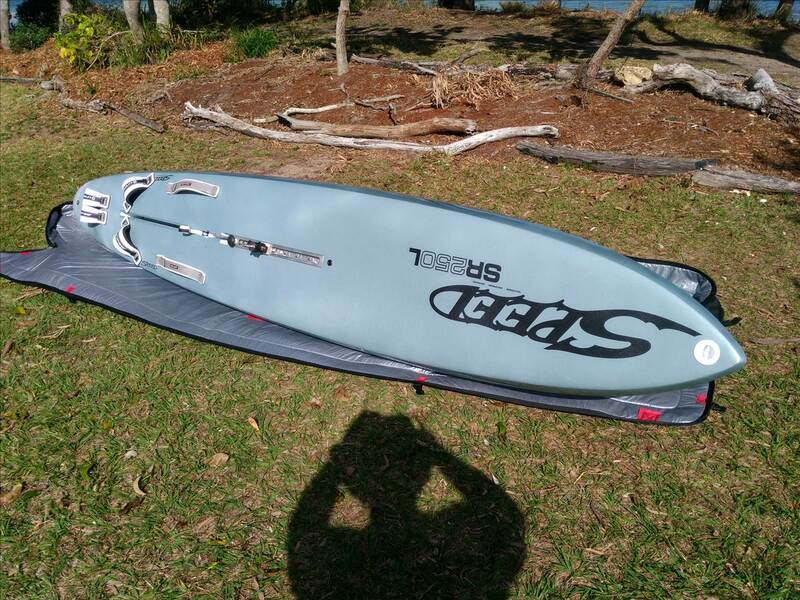 Ps , what should this board weigh straps , cb and fin ? Mark at SurfSail will look after you just give him a call. I think the RRP is $290 or more depending on the size you need from FO in this style of high end travel bag for RACE SUPs in the global roaming series. For this bag unwittingly, FO may have a market to sell into here as there are 30,000 IMCOs worldwide in 50 nations. I suspect the Equipe will fit into this bag as well. 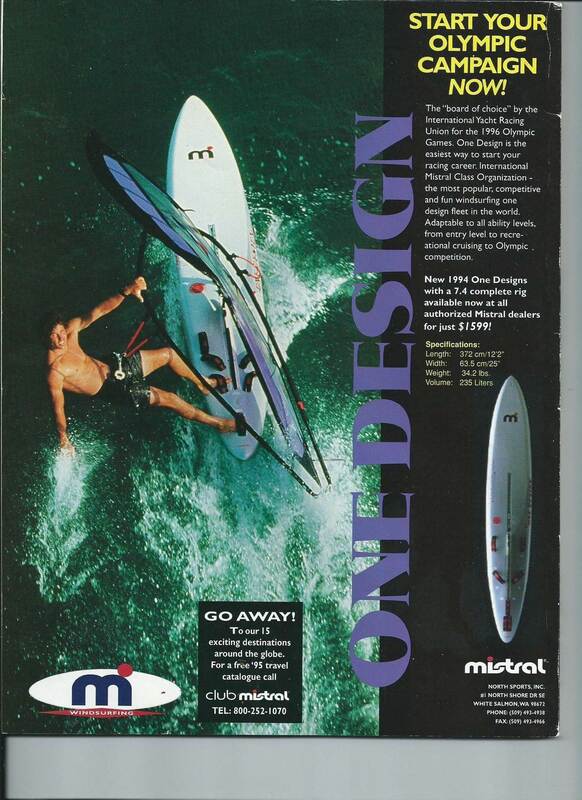 Weight, I have never weighed mine but the following are the specs for around the era of my board or infact I think mine is a 1992-93 model whereas the 1994-1996 model for Atlanta is shown below. 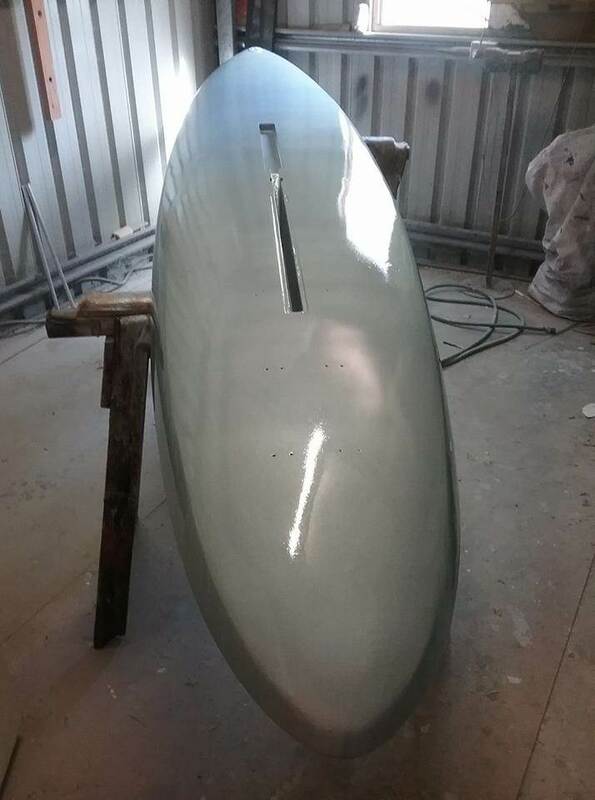 It is supposed to be 15.5 kg probably minus straps, fin and daggerboard. The Flying Objects seemed like the best quality. All the handles have heaps of re-enforcing. When you pick a board up from the center strap, I think the other's pop a few stitches. The bag as a whole seemed like heaps better quality all over. Yes this is a top quality product for sure and it even looks good on the roof of the car !